The 28-year-old will join his country for the 100th edition of the prestigious tournament. New York Cosmos forward Yasmani Duk has been selected to Bolivia’s 23-player roster to compete in Copa América Centenario next month. Duk, 28, will begin his Copa América with Los Verdes against Panama on Monday, June 6 in Orlando, Fla. Bolivia has been drawn into Group D, which also includes Argentina and Chile. Duk’s side will match up with Alexis Sanchez and Chile on Friday, June 10 in Foxborough, Mass. Bolivia and Lionel Messi-led Argentina will close out the tournament’s group stage on Tuesday, June 14 in Seattle. Since earning his first cap and scoring his first international goal on Nov. 17, 2015 against Paraguay, Duk has regularly featured in 2018 FIFA World Cup qualification. He won a penalty and tallied an assist in Bolivia’s 3-2 defeat to Colombia on March 24 at Estadio Hernando Siles. 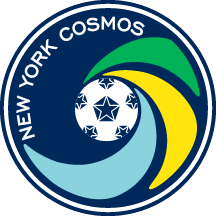 Duk made his first Cosmos start and scored his first goal in a 2-1 home win against the Tampa Bay Rowdies on Sunday night. In the 32nd minute of the match, he made a heady run toward the far post, where midfielder Juan Arango picked him out. Duk’s first-touch finish rolled into the bottom right corner of the net, leveling the match at 1-1. The Bolivian international has made two North American Soccer League (NASL) appearances since signing with the Cosmos in February of this year, scoring once and winning three fouls in 109 minutes on the pitch. For the first time, Copa America is coming to the United States. Sixteen national teams from the Americas – including the United States, Mexico, Brazil and Argentina – will compete in 10 cities throughout the country from June 3-26. Bolivia reached the quarterfinals in 2015. Los Verdes last won the competition in 1963, and placed second in 1997. For more information, including a full tournament schedule, visit CA2016.com.